Have a question about your Quorum account? We're standing by to help! Call us now. 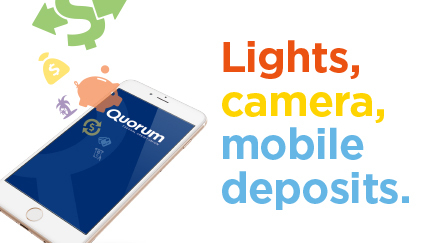 Ensure your Quorum account is up-to-date! Make sure your contact information is current, and any life changes have been reflected. 2. Under the Quick Links menu on the right, click on “Edit my profile/contact information” and review the information under the “Contact” tab. If you are sending in paper forms, be sure to provide a clear copy of a government-issued photo ID (e.g., license, passport)—which includes a signature(s), and any supporting documentation noted on the form. You can also send us your forms securely and electronically via secure message in online banking as attachments. Please Note: Forms cannot be signed electronically (e.g., e-signature or PDF signature); a physical signature is required. Term Accounts: What Are They and Are They Right for You?